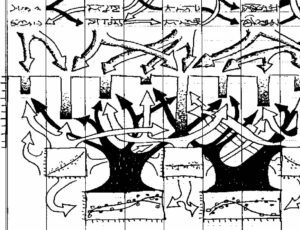 The incompletely integrated central nervous systems of Homo sapiens reflects the tension between the ancient agenda of the animal mind and that of humans striving for freedom from the vagaries of the environment in which they evolved. Paul D. MacLean’s (1968) “triune” view of the mammalian brain called attention to the modular substrate of behavior. 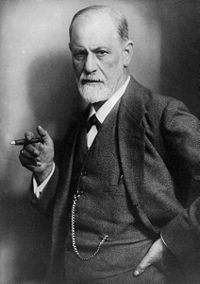 Surrounding the “reptilian” basal ganglia –controlling habit– we find . . . The “paleomammalian” limbic system — substrate of our passions– embraced by the cingulate gyrus. 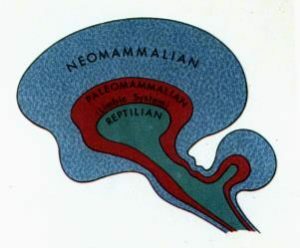 The “neomammalian” brain based in the neocortex then coordinates inner and outer representations with projections of the future consequences of alternative actions –foresight. The physical evidence provided by the Centaur of Volos in the Hodges Library has enabled studies providing an unprecedented precision of extrapolation from osteology to neuroanatomy and implicit neurochemistry. 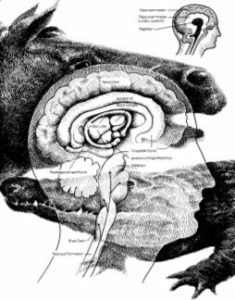 The CENTAUR BELIEF SYSTEM is based in our affect-generating limbic system and involves impulsive action . . . The HUMAN BELIEF SYSTEM is centered in our neocortex and involves foresight. It can override The CENTAUR SYSTEM. The great Centaur physician, Chiron, had discovered that certain substances can disarticulate lower and higher referential processes, ordinarily connected by the dynamic physiological balance of cerebral modules. By the 16th century, this method was in general use for the most demanding experimental explorations of this critical juncture.